It's been another long while since I last blogged after I got back from Japan. I wanted to write more blog posts but didn't get around to doing them because there are still so many pictures and videos that I have to transfer from my camera and I don't have time to do them yet. I'm slowly working on them as I want to blog more about my trip as soon as possible before I forget all the little details. I wonder if by the time I'm done blogging my first trip to Japan on my blog, I'll be on my 2nd trip there already? XD We'll see, lol. Also I FINALLY got a new domain set up and running. Took me FOREVER to get one up because I was having sooooo much troubling setting it up on godaddy.com to get it to direct my blogger to the new domain address. Keeping my fingers crossed that I won't have to go through the trouble again when this one expires. >__< There are still a few things that I need to fix on my blog such as my linkwithin thumbnails for my other past blog entries not working properly because they still direct it to my old domain address and as well as some other things that I need to get fixed. Anyway, in this post I'll be showing some of the food I bought when I was in Tokyo. I wish I had bought more food back to Canada. I seriously LOVE Japanese snack food and can spend a whole day at the convenience stores and super markets in their snacks aisle. Chocobo mascot sable cookies that I got from the Final Fantasy cafe at Artnia Square Enix. The cookies are not only cute but taste delicious too! Calbee fries from Hokkaido. Omg these fries are the BEST fries ever. I wish I had bought more boxes of these home because they were soooo good! Dorayaki. 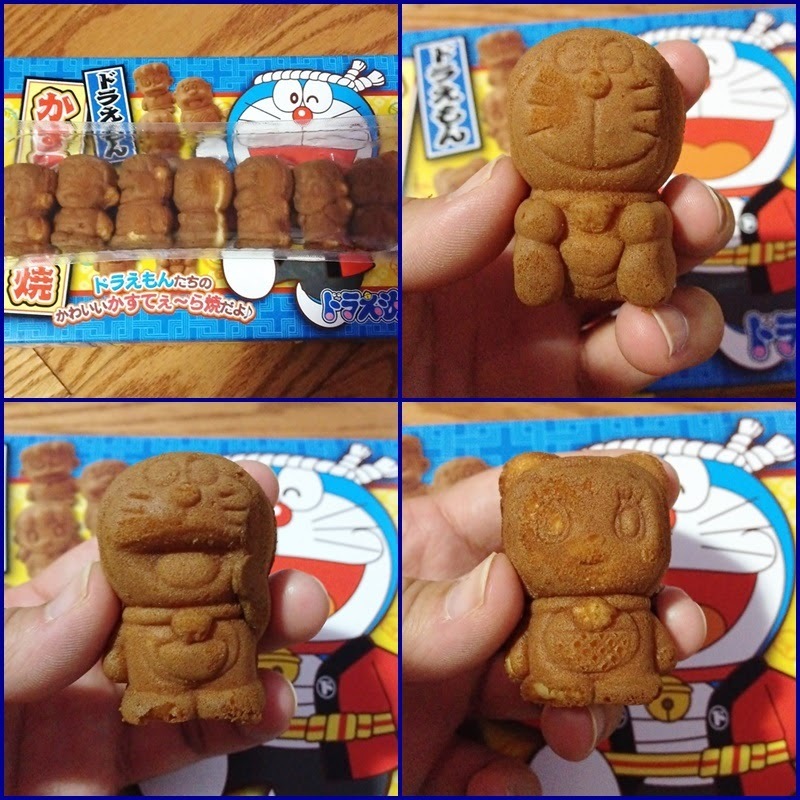 Doraemon's favourite food! I bought this from the Doraemon museum because my brother had requested me to buy these for him. 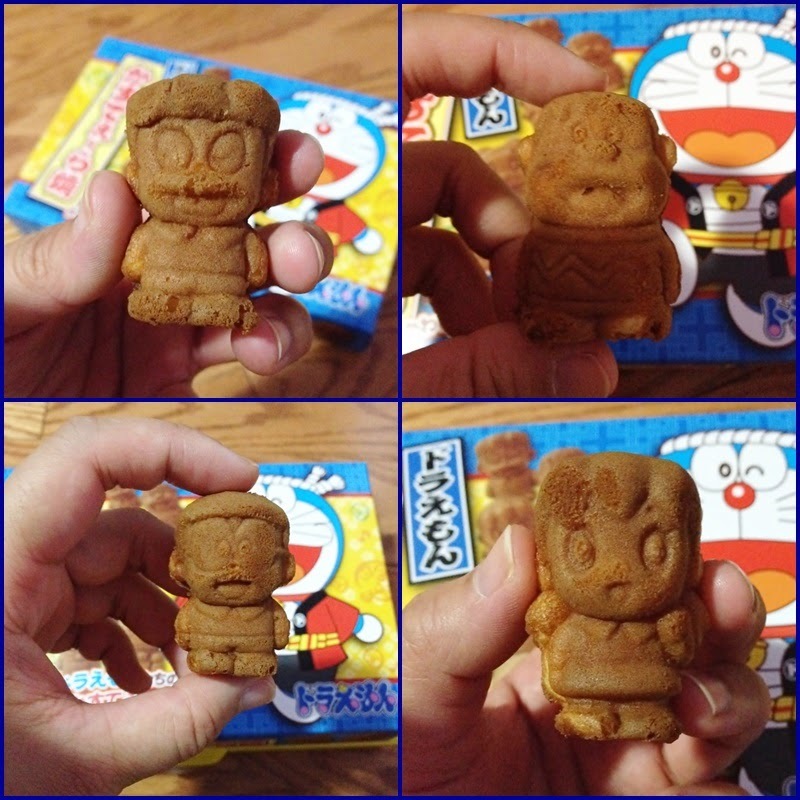 Also got a box of these super cute Doraemon character cakes from one of the stands in Asakusa. Chocolates that I bought from the Kit Kat store in Ikebukuro. These cans are pan bread that I bought from the Evangelion store inside the P'Parco mall in Ikebukuro. I bought the Asuka for my brother and the Rei one is for me.